Nowadays, technology evolves like never before and it has come to be a necessary thing in everyday life and professional life as well. One of the main technologies that surpassed every expectation is the Augmented Reality technology. It is a growing trend among IT companies, mobile computing and business applications. But what exactly is Augmented Reality? Augmented Reality is an enhanced version of the physical world through the use of visual, audio and sensory stimuli elements. 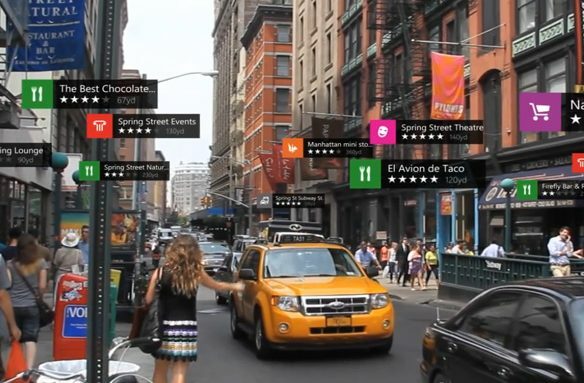 In other words, augmented reality integrates digital information with the user’s environment in real time. The ”augmented reality” term was first used in 1990 and appeared in the work of Thomas Caudell and David Mizell – Boeing company researchers. Unlike virtual reality, which creates a totally artificial environment, augmented reality uses your existing natural environment and simply overlays virtual information on top of it. The main benefit of the use of augmented reality is that users experience a new and improved natural world, where the information from the virtual world is used as a tool to provide assistance in real life. The information provided by augmented reality applications are topical and very relevant to what you are using it for. This complex technology is divided into 3 main categories, each having their objectives and applicational use cases. This type of AR projects artificial light onto a real-world surface. In some cases, it detects human interaction with a projection by its alterations. User’s interaction in this project based is detecting by differentiating between an expected/ know projection and the altered projection that was caused by the user’s interaction. It can partially or fully replace the original view of an object with an augmented reality object. The key point to this type of application is the recognition of the object because without determining what the object is, the original view cannot be replaced with an augmented reality one. 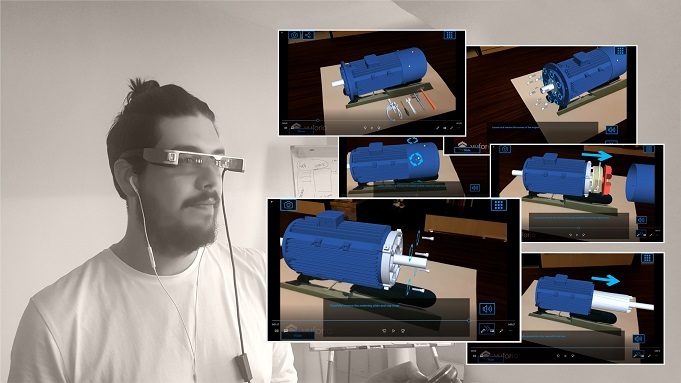 Augmented reality can also be used to see assemblies of active components to help operators understand the complexity of critical machines. One of augmented reality’s primary goals is to highlight specific features of the physical world, to understand better those features and to gain knowledge that can be used in real-world applications. 0 Comments on "What is Augmented Reality, explanations and various types"